Voted New Times Best Dispensary in Phoenix, two years running. Received New-Times Readers Choice award for Best Dispensary in Phoenix. Arizona’s Leafly list Second Best Dispensary, Winter 2018. On the news and in the paper, Pharmers are always giving back. 2nd Place at 2017 Errl Cup, Shatter Competition. Stay tuned for more! Always passing inspections with flying colors, The Pharm is held to the highest standards for cleanliness. Conveniently located just off of Power on the 60, GreenPharms Mesa has been open to Arizona Patients since November 1st, 2016. Here at GreenPharms, We weigh your medicine right in front of you! Search no more for your go-to shop in Arizona. Come meet the Pharmers that continue to bring you the best quality medicine in the state. Whether you are a first-time patient or on a first-name basis with our staff, everyone who walks through the doors is Pharmily! 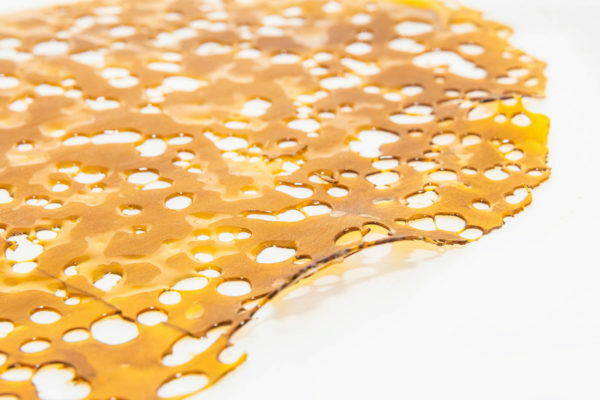 At our state-of-the-art kitchen, we are constantly researching and developing some of the newest medicine on the market, bringing to you strain specific slabs of our finest extracts. Some of our classic favorites like Kryptonic, Strawberry Fields, and Future are now available for you in a terp-tacious shatter form.